The 'Top Chef' host shared a series of photos alongside Ali's own words. Padma Lakshmi is mourning the loss of her "lil' sis," friend and former "Top Chef" contestant Fatima Ali who died of cancer yesterday at the age of 29. On Friday, Lakshmi announced on social media that she was canceling her scheduled "Facebook Live" due to personal reasons. Later in the day, she posted a slideshow of Fatima, also known as Chef Fati, along with a heartfelt tribute. Celebrity chefs, including "Top Chef" judge Tom Colicchio and fellow "Top Chef" contestant Brother Luck mourned the loss of their friend on social media. Lakshmi was hit particularly hard by the loss as she had developed a strong friendship with Ali during the year she battled cancer. Fatima Ali came to New York from Pakistan and was the first Pakistani contestant to win on Food Network's "Chopped" before she joined the season 15 cast of Bravo's "Top Chef." The "Pakistani Princess," as her chef friends called her, was a "Top Chef" fan favorite and hoped to someday open her own restaurant in New York. Her plans changed when just over a year ago, she was diagnosed with Ewing's sarcoma, a rare form of bone cancer. "Top Chef" host Padma Lakshmi rushed to be by her side in January of last year when she underwent surgery to remove a tumor from her arm. Throughout Ali's cancer battle, Lakshmi became a constant presence in her life, and often posted updates about her friend. 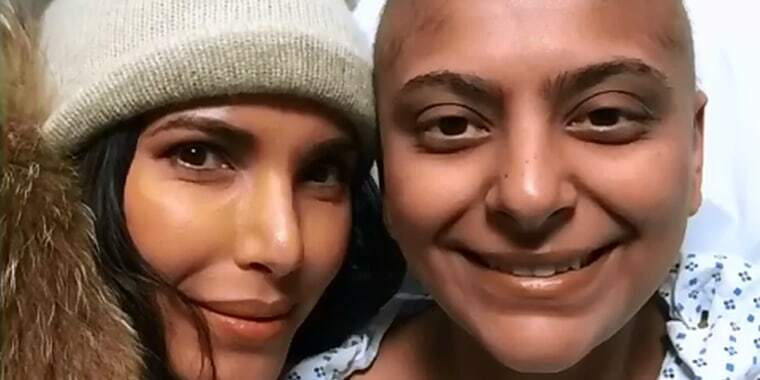 This past October, after Ali announced in an article for "Bon Appetit" that her cancer was "back with a vengeance," Lakshmi wrote on Instagram that "Since her diagnosis I have been fortunate enough to get to know her deeper and in a new light." Lakshmi went on to praise Ali's poignant writing and the young chef's positive spirit. "I have gotten to know most of her family and in them I see my own," Lakshmi wrote. In a gesture of love and support, she and fellow "Top Chef" judge Gail Simmons contributed to a GoFundMe page for Ali, raising money for her to "experience all that life has to offer" in what doctors said would be her last year. The campaign raised over $95,000 but Chef Fati only survived a few months after learning her cancer had returned. Our thoughts are with Ali's friends and family, as they mourn a talented chef who Lakshmi praised as "one of our brightest stars."